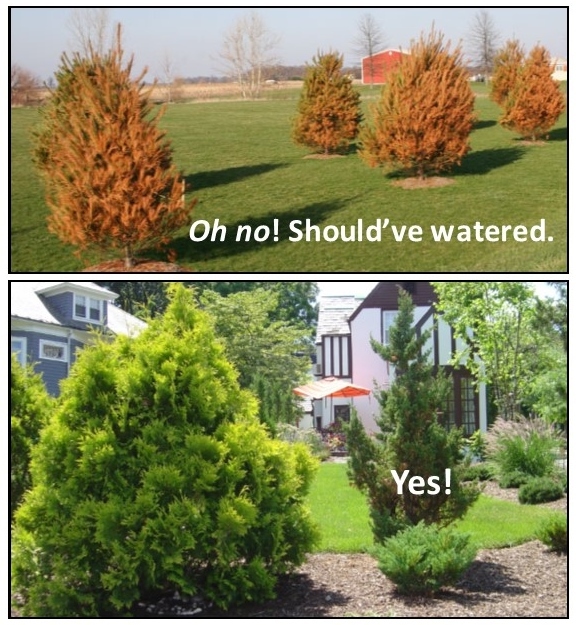 Protect Your Plants For Winter…Water Now! Fall water is vital to the survival of trees, shrubs and perennials over winter. The goal is for the landscape to receive 1-inch of water weekly, by rain or by you. This is especially important for evergreens because these plants lose moisture through their leaves all winter. When it’s been so dry, take out the hose and sprinklers and get to work.